When I think about some of the healthiest diets that are currently in existence, I think about the major food groups that are emphasized and how the foods are incorporated into the diet. Overall, there are four main diets that tend to come to my mind, when I think about the healthiest and most nutritious foods around. Through my research I have found these four diets to be the best due to the bio-availability of nutrients and the overall health benefits when strictly implemented. Over the course of time, it has been quite interesting to see how diets and overall eating habits have progressed and evolved. For years I have been pounding my head with all sorts of research on nutrition and diets, as I have continually searched for a diet that provided the optimal amount of nutrition for human needs. I have come to a point where I really regard four particular diets as being the most superior in their level of nutrient density as well as helping prevent certain diseases and illnesses. What makes these four diets superior in particular is the overall bio-availability of key phytonutrients and antioxidants. The first diet that I would really like to review is the Raw Foods Diet. This diet which is becoming increasingly popular amongst young women and some men across the U.S. and other western countries is definitely a power-house in regards to providing the human body with the highest amount of quality nutrients. In Adam and Eve’s original garden, food was picked up raw right off the tree with no cooking involved whatsoever. After all, in nature when all food is in it’s raw form and ready to be picked, it is at it’s peak level of nutrients. Raw foods are never cooked or heated above a certain temperature of 116-118 degrees Fahrenheit. The only exception for heating foods in a raw foods diet involves the use of dehydrated foods, also considered to be a part of raw food recipes. The major idea behind raw foods, are that they are mostly plant based. Most people who consider themselves raw foodists do not include any raw meat, fish, or unpasteurized dairy. The raw foods diet provides a substantial amount of vitamins and nutrients, however due to excluding meat it can be hard to sustain enough protein and caloric intake for people who partake in a lot of physical activity. Having a proper knowledge of nutrition is important in order to increase energy levels and prevent illness. In a raw foods diet the food goes straight from the tree, bush, or ground right to you. I believe when you participate in this process, you are fully engaging in healing your body. Fermented foods, dehydrated foods, and sprouted foods are all included along with fresh foods in the raw foods diet. According to raw food guru Jeremy Saffron, “Ten percent of a raw diet should be dried foods, ten percent cultured/fermented foods, twenty percent sprouted foods and sixty percent fresh foods” (Rost 401). In order to eat a raw foods diet, you will need a few utensils and kitchen tools. Having a cutting board, blender, food processor, dehydrator, mason jars, and nut bag are great tools to have for preparing particular recipes. Conventional wisdom would tell you to eat a lot of fresh foods since they provide an array of vital nutrients; however few take the time to obtain fresh food or create their own produce. The biggest advantage of eating fresh foods is that they can be identified right away, and you know that it hasn’t spent weeks on a produce shelf or traveling across the world. With the increase of farmer’s markets and more DIY grow kits, it is becoming increasingly easier to obtain raw food that you can easily incorporate into your lifestyle. The biggest reason people make a lifestyle switch is in order to provide the body with more core vitamins and minerals to cleanse the body of toxic additives, chemicals, and substances. Raw foods are a great way to eliminate harmful substances from the body and it generally leads to greater overall health. According to Jeremy Saffron, “Students also find that raw food gives them a more balanced blood sugar level and helps them think more clearly and stay more focused” (Rost 401). If you ask me I think eating as many raw foods as possible is the key towards living a balanced, healthy, happy, and positive life. Eating 100% raw may not always be possible for everyone depending upon one’s job and schedule demands, however if you take the effort to make certain lifestyle changes I think that it’s very possible to start implementing more raw foods. When you eat more raw foods, you clean up your intestinal flora and you include more probiotics and enzymes. As a result this flourishing helps eliminate the need for many diseases or illness’s to grow in such an oxygenated environment. With juicing comes great health and few illnesses. Juicing coincides with the raw food diet. Juicing is the act of extracting water and concentrated vitamins, minerals, and enzymes by removing pulp and fiber. When you juice, it is a great way to enjoy a wide variety of nutritional density. The biggest dilemma when it comes to juicing is maintaining a refrigerator that is well stocked. For many people nutritional deficiency is common and many symptoms of ill health irritations such as skin problems, digestive disorders, and inflammation are correlated with imbalance. One of the most rejuvenating things you can do, is detox your body and cleanse your body through fresh juice healing. Juicing which works in synchronicity with the raw foods diet I mentioned, provides nutritional advantages of plant foods in concentrated form that is easily absorbed by the body. Most Americans eat refined foods that are high in sugar, calories, unhealthy fats, and cholesterol. With all the poor diet habits of typical American families we have people who are suffering deaths each year that can be prevented through healthy dieting. According to The Surgeon’s General Report and Nutrition and Health from 1987, “The estimated total deaths and percent of total deaths for the 10 leading causes of death, five of the top ten leading causes of death are diet related” (Murray 3). Naturopathic Doctor Michael T. Murray boldly mentions in his book, The Complete Guide To Juicing the following causes of death being diet related…. Chronic liver disease and cirrhosis. Out of those deaths 2,125,100 were all diet related. It just goes to show how many deaths could have been prevented through implementing better eating habits. When you include the juicing diet you receive a lot of soluble fiber which helps lower cholesterol levels and aid with digestion. As a result you will feel very nourished with this diet and you will absorb key nutrients and sustain high energy levels. There really are no problems with juicing. The biggest problems that people come up with really just exist in the mind. People often complain about the cost of buying a juicer, the pain of cleaning a juicer, or the pain of buying tons of fruits and vegetables. My response is if you REALLY care about your health, it’s better to invest in juicing than to spend your savings on healthcare and pharmaceutical drugs that USUALLY doesn’t help resolve your health. The key is to focus on preventing illnesses before they get out of hand. By the time you’re taking drugs and getting all sorts of treatment your health is usually already out of whack. The reality is that whether you want to slowly become healthier by implementing raw juice every day, or if you want to go full into a healthy diet of juicing, you aren’t going wrong either way. All it really takes is some small persistent changes in order to make a difference. You can begin juicing once a week, once every day, or three to four times a week. Depending on the state of your health and your personal needs, juicing will improve your health significantly. The Mediterranean Diet, is often considered very heart healthy because of the abundance of omega 3 fatty acids present inside of seafood. The Mediterranean Diet is high in good fats such as monounsaturated fats and polyunsaturated fats, which help provide the heart with level balances of cholesterol and LDL cholesterol. In addition, the healthy omega 3 fatty acids present in fish also compliment by lowering triglycerides, decreasing blood clotting, and help moderate blood pressure. Eat seafood twice a week. Eat a complete vegetarian meal once a week. Eat fresh fruits for desert. Limit red meat to a few times a month. Use fresh herbs and spices instead of salt. Eat your bread with dipped olive oil. Often include a glass of wine with dinner. Overall, the Mediterranean diet is a very healthy diet especially when you implement it on a consistent basis. I feel like this diet closely resembles the Paleo diet in that they both advocate avoiding processed meats along with limiting high fat dairy products. The major point with eating a Mediterranean diet is getting a healthy dose of fresh fruits and vegetables along with whole grains. This diet, is also considered much healthier than the typical Standard American Diet, due to the whole grains being served in much lower quantities than American dishes. Typically Mediterranean dishes only contain about 1/2 to 1 cup serving size of pasta along with bread and olive oil. Check out one of my recipes! Also known as the hunter and gatherer diet, the Paleo Diet is based upon eliminating all grains from the diet and focusing on eating quality meats along with fruits and vegetables. The Paleo Diet requires one to eliminate all processed foods and emphasizes that you make your own flavorings, sauces, and condiments. This can all be done through the use of herbs and spices along with a mortar and pestle. The meats are mostly game meats, organ meats, and grass-fed beef. In combination Paleo emphasizes herbs, spices, nuts, seeds, eggs, and berries in order to have a diverse diet that has a lot of flavor and nutrients. One main difference between the Paleo Diet and Mediterranean Diet, is the allowance of red meat. In a Mediterranean Diet, red meat is generally frowned upon and it is seen as having little value to human health. This difference has many arguing back and forth, as some claim that red meat is a potent source of B vitamins and amino acids such as Acetyl L-Carnitine. The amino acid can also be supplemented with separately from the diet, if one chooses to stay away from red meats. I personally believe that red meat shouldn’t be completely avoided. I think that having small amounts of red meat is the best. As experts would say, consume everything in moderation. The amino acid Acetyl L-Carnitine has been proven to have protective properties of the central nervous system, the heart, enhance memory, as well as address symptoms of depression. 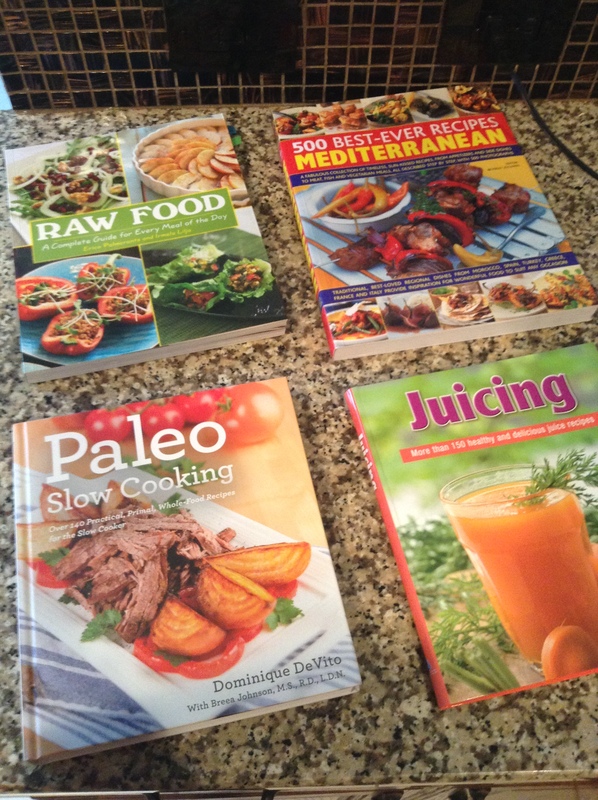 The Paleo diet is more than a diet it is a lifestyle switch just like the raw foods diet. However, if you have the mindset to stick with it you will be quite pleased with how your health turns around and feel more energetic, thin, and healthy. Your body will thank you in the long run if you can transition into a Paleo lifestyle. The reason most people have a difficult time transitioning into a Paleo diet, is due to a common addiction to refined grains that often leads to weight gain. Many people struggle with meeting their daily needs without grains. Many people turn to grains and carbs as a quick fix of energy and as a result many people’s guts and digestive tracts pay the costs in the long run. It seems that this addiction to grains is partly due to its easy access and it’s convenience in that the carbohydrates are quickly converted into energy through our bodies metabolizing mechanisms. The toxicity particular grains contain, makes it best to avoid them if you can gradually cut them out. Boose, Greg, and Robert Segal. “The Mediterranean Diet.” : Myths, Facts, and Health Benefits of a Mediterranean Diet. Helpguide.org, Apr. 2015. Web. 12 June 2015. DeVito, Dominique, and Breena Johnson, Paleo Slow Cooking: Over 140 Practical, Primal, Whole-Food Recipes for the Slow Cooker. N.P. : Appleseed Book, 2014. Print. Kresser, Chris. “20 Things You Didn’t Know About Paleo.” Chris Kresser. Pautler Design, 19 May 2015. Web. 12 June 2015. Powers, Susan. “Why Eat Raw.” Rawmazing.com. Susan Powers, 2013. Web. 12 June 2015. Renee. “Hello! Welcome to Veganza.” Veganza. WordPress.org, n.d. Web. 12 June 2015. Rost, Amy. Natural Healing Wisdom & Know-How: Useful Practices, Recipes, and Formulas for a Lifetime of Health. New York, NY: Black Dog & Leventhal, 2009. Print. Sisson, Mark. “Why Grains Are Unhealthy | Mark’s Daily Apple.” Marks Daily Apple RSS. Marks Daily Apple, 05 Nov. 2009. Web. 12 June 2015. Staff, Mayo Clinic. “Nutrition and Healthy Eating.” Mediterranean Diet: A Healthy Eating Plan. Mayo Foundation for Medical Research, 14 Jun. 2013. Web. 12 June 2015. Staff, Mayo Clinic. “Nutrition and Healthy Eating.” Mediterranean Diet: For Heart Health. Mayo Foundation for Medical Research, 14 Jan. 2013. Web. 12 June 2015. Weber, Louis. The Juicing Book, Lincolnwood: Pubns Intl, 2013. Print.